...a spinning big wheel, I was that I was a kid again. lots of fun, love the biohazard suit.Gave me a good giggle. It is real cold right now, but suppose to warm for a bit. I am headed out for a road trip looking for eagles with a friend in -3 weather. So very sweet! Looks like fun. Love seeing Pierce on Francie! Looks like a lot of fun! I always loved breaks when the kids were little and home. I liked the down time from "have-tos" and lazy days doing things we enjoyed. Looks like you are doing the same! The biohazard suit is hilarious! And of course I am dying to know WHY did he want one? Was he studying them in school? I have not heard of a spinning big wheel, but it looks like fun! Francie is so gorgeous, thanks to you. Is she your horse now, and doesn't like other people as much? 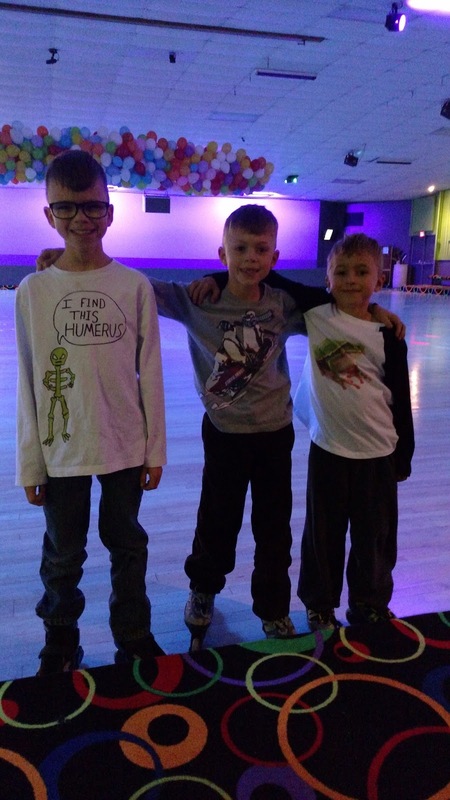 It looks like you had a great holiday break with your sweet boys! 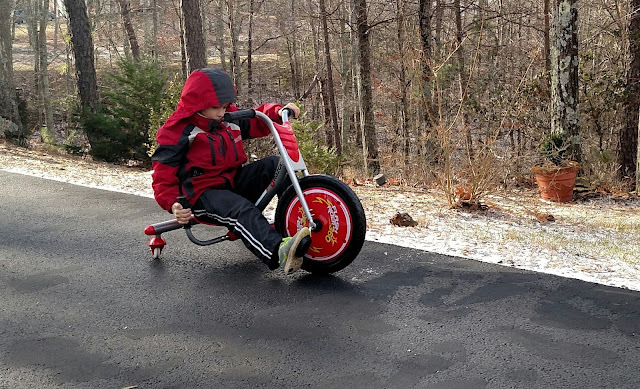 I loved riding my big wheel when I was a kid. Such fun! I love finding out what you folks are up to! My middle child, and wife, are about to have a baby this spring. We may visit. They are out west. My youngest, another son, is having issues, and we don't see him much. I like reading your posts and remembering the things we used to do! They are all in their 30s. My daughter and I are the closest. She actually buys me birthday presents! sigh. loved these photos of good times! 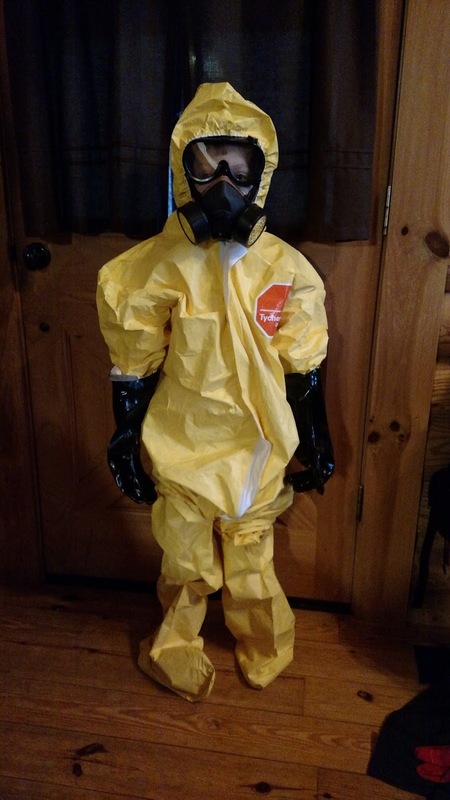 I've never known a kid who wanted a biohazard suit! But you never know, he may find usefulness for it. 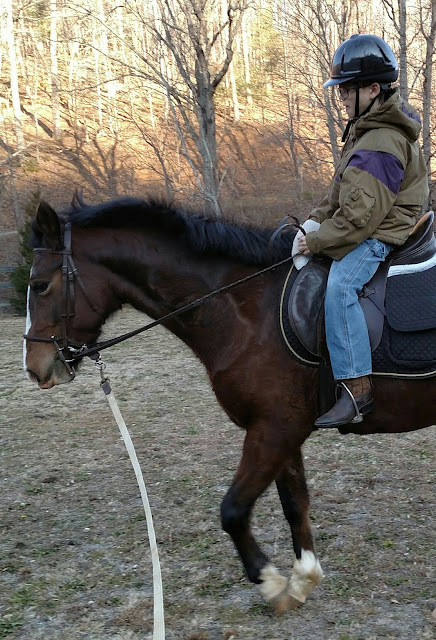 Looks like a fun time in spite of the cold weather. I love all your boys exiting adventures - what a marvelous time you all have together Lisa. Happy days to you all - we've been snow in (7inches) since Wed. but warming and melting fast now. Hopefully I'll never require the blizzard suit - I don't look good in yellow, haha! PS - sorry - that should have read - biohazard suit!!!!!! Awww...they are so cute and they seem to have had fun! A biohazard suit? Sounds like a budding Marine , to me. He'd be all squared away when it came time for NBC training. I did not do well in the gas chamber, when they made us take off our masks! Sounds like all goes well with the family. You are a very even keel bunch of folks there. I am intrigued that Reid wanted a biohazard suit for Christmas. What prompted that? Sometimes keeping things low key is really nice and relaxing! I love the interests the boys have. So different and unique. All the pictures made me smile! I love Reid's biohazard suit. It's funny! Love the toys, and the biohazard suit made me laugh. :) That's a fun photo op to remember.